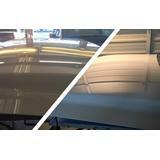 $30 off any Paintless Dent Repair. Present coupon to receive discount. Contact shop for further details. 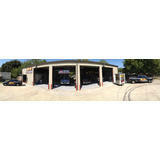 Your local Metroplex Hail Dent Repair Specialists! $500 off Hail Damage Repair. Toward customer responsible payments (Deductible or Rental assistance) Present coupon to receive discount. Contact shop for further details. Available for Paintless Dent Repairs. Cannot be combined with other offers. 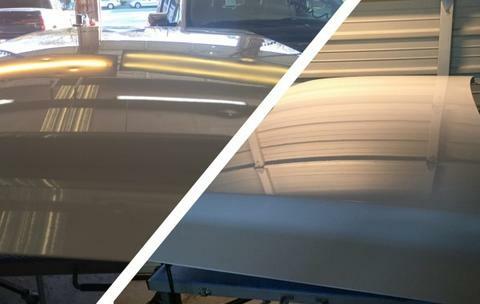 Have you been a victim of a recent metro area hail storm or are a couple of minor dings and dents ruining the pristine appearance of your vehicle? We strive to exceed expectations and raise the standard of quality, service and transparency in the Paintless Autobody industry. 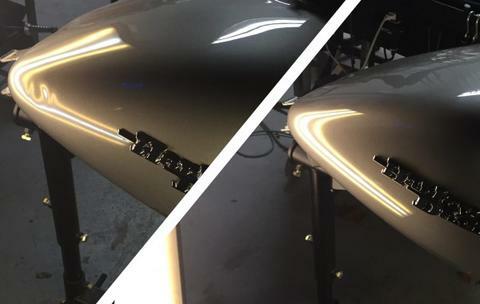 DFW Dent Repair provides North Texas with automotive paintless dent repair also known as PDR. Specializing in HAIL damage removal. FAST turn around and QUALITY go hand in hand at our facility. 100% Satisfaction Guaranteed! Lifetime Warranty! Master Certified Technicians! Our jobs range from small to large. Some take 20 minutes others take several days. 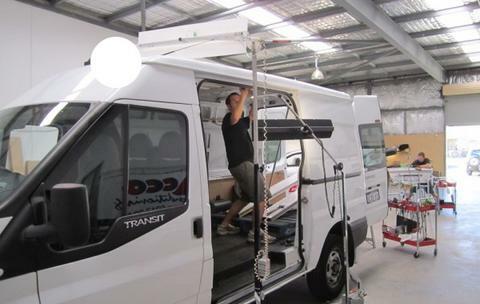 We are fully insured and all vehicles are stored indoors. 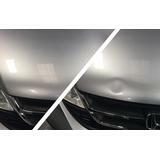 Door dings, scratches and scuffs are all welcome at DFW Hail & Dent Repair. 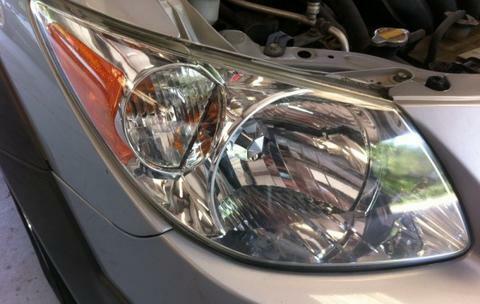 The only thing we like more than seeing cars coming in are our customers cars shining like new. 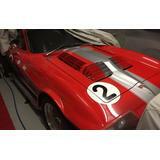 DFW Dent repairs dents on any kind of sheet metal. Our technicians are well versed in all types of make and models including the luxury brands that involve aluminum panels. 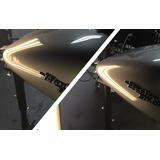 We perform automotive auto body as well as motorcycle dent repair. 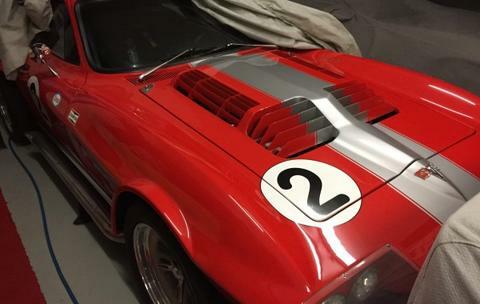 Domestic or foreign, vintage or right off the show room floor! Dull paint, dirty carpets, and more can all be taken care of at our facility. So whether it is removing the only dent that makes your new car say used. 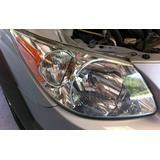 Or restoring your old car to look new! -Come by and see us. We care about our Dallas Fort Worth neighbors. So we care about our quality and service. DFW Dent Repair Your Local Metroplex Hail Dent Specialists! 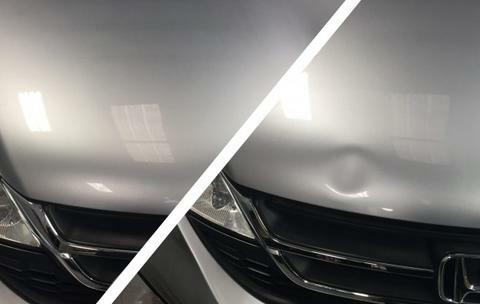 Here at DFW Dent Repair, we make the paintless dent repair process quick, easy, and affordable without limiting the quality of our repairs. One of our professional service representatives will work with you to answer any and all questions you may have regarding your repair. When it comes to filing a claim, sometimes dealing with the insurance company can seem like a hassle. However, your service representative will contact and communicate with the insurance company directly on your behalf once a claim number is acquired, and keep you posted on the progress and status of the claim in process. In addition, at the scheduled appointment to have your vehicle dropped off for repairs, your service representative will make all necessary transportation arrangements with you directly. These arrangements include: reserving a rental, dropping you off at the rental car facility, or simply picking up your vehicle from your most convenient location within the DFW Metroplex and the surrounding areas. When your vehicle has been completely repaired and inspected by one of our trained specialist, your service representative will contact you to make all necessary delivery arrangements. 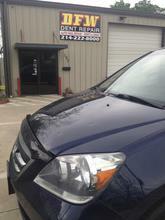 The guys over at DFW Dent Repair are super knowledgeable and do great work. I really like how honest they are as well, telling me up front that if they could not complete the work they would let me know and I would not be charged. Not only are they honest and knowledgeable, they also work fast! I dropped off my car and they had it done in one day which was awesome because it saved me a whole bunch of money because I did not have to rent a car while I was waited for them to complete their work like most places. My car looks great and it is all thanks to these guys and them making quick work of my dents! I cannot say enough good things about DFW Dent Repair! GREAT customer service & GREAT work. I took both of my cars to them after a bad hail storm and they look like they just came off the car lot. Through the entire process Collin was incredible. From offering to give me a ride to the rental car place to giving me updates every couple of days, Collin took care of all my concerns. It is rare to find excellent customer service, and DFW Dent Repair exceeded my expectations. When there was some residue on my car at pick up, he immediately had his detail guy take care of it. It caused me to miss my workout, which I get charged $18 for canceling last minute. When I mentioned this to Collin, he literally handed me $20 to cover the fee without me even asking. He definitely did NOT have to do that, but it was just another example of how much he cares about his customers. He is genuine, knowledgeable and takes pride in the shop's work. This is now my go to place, and it should be yours too!